Self Drive: How to get to Les Quis? We consider bait to be an absolutely critical factor to the angler‘s overall enjoyment of a trip to Les Quis. Order your bait now! To ensure that your trip is as enjoyable and hassle-free as possible, please could you and all your party members go through this checklist prior to your trip to The Les Quis Complex. We hope it helps make your stay more enjoyable. Have you completed and returned the “group identification sheet”? This information sheet has been generated in order to establish the exact names and emergency contact details in relation to all individuals that are destined to travel with Les Quis. All information given on the sheet will remain confidential at all times. The group leader and every member in the group should confirm acknowledgement and details as on the sheet. 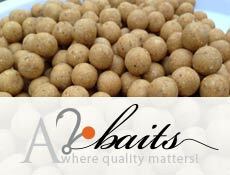 Bait: Please place your order for bait from Les Quis at least four weeks before you Travel? Before you travel we recommend that you and all members of your party have familiarised yourself with the Les Quis rules and important information sheets? Please ensure that all your party members all got valid passports, they need to have at least 3 months validity remaining? We highly recommend that you obtain comprehensive travel/medical insurance for your trip. Have you got your valid passport in your hand luggage? Have you obtained medical/travel insurance? Please remember to bring all your relevant documentation. Have you arranged your E.H.I.C. Medical Insurance card ? Have you familiarised yourself and all the members of your party with the Les Quis rules and important information sheet? Is your reel line at least 15lb breaking strain Mono? Are your hooklinks no more than 15lb breaking Strain? Are your rigs safe and all your hooks barbless? For the safety of our fish we do not permit any for of leaders and leadcore we advise you leave them at home? There is no reason to bring a sack with you as we operate a no-sacking policy. Have you brought netting for your hookbaits? If you air dry your baits, remember to bring a nut drill? We don’t want to take you to hospital with a boilie needle in your finger ! Have you remembered that no shelf life bait is allowed? If you choose to bring your own boilies, please ensure they are packed in breathable bags/pillowcases as buckets are not permitted due to the amount of space they take.